Bijou - A gem of a little salon in Skaneateles: Aveda Christmas gifts, coming soon to Bijou in Skaneateles! Aveda Christmas gifts, coming soon to Bijou in Skaneateles! Aveda,…ONCE AGAIN….has made it easy for us to consume and feel good about it! The company has made gift giving easier by offering 8 limited edition gift sets (We have most of them at Bijou in Skaneateles!!) that help support the indigenous communities and craftsmanship of northwestern Nepal. Each gift set is embellished with Lokta paper (stunning), special paper handcrafted by men and women in Malika and Dolakha, the two forest regions in the Himalayas. By using this paper, Aveda and consumers help to support the local industry ultimately keeping families together and reversing local deforestation in the region. This act helps to protect the snow leopards and other endangered animals in the region. 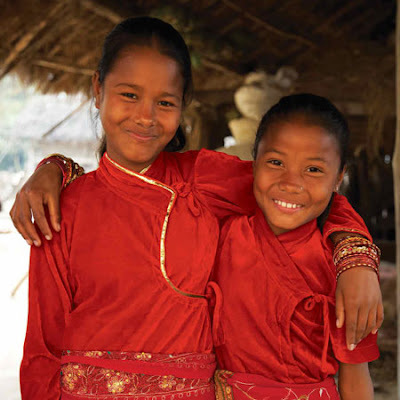 Aveda’s partnership has allowed the Nepali community to experience an increase in household income by 318%, reduce migration for jobs by 15% and has enabled 4,800 children to go to school. “This example of successful micro-enterprise reflects the Aveda mission as it cares for both the community and the planet,” says Dominique Conseil, president of Aveda.